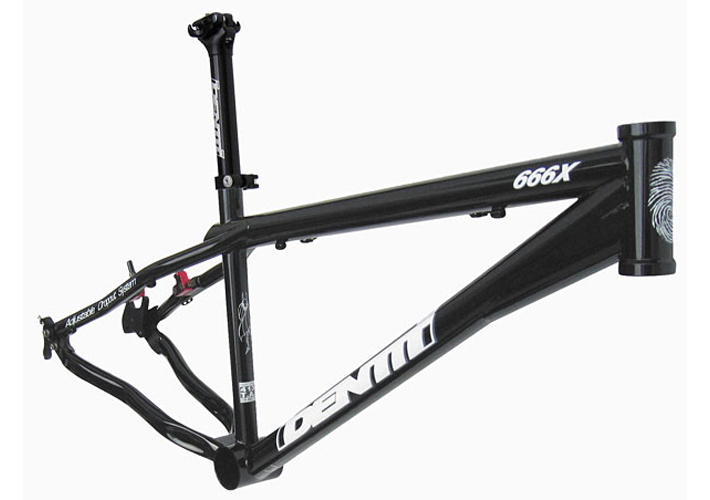 The Identiti 666X is fast becoming one of the most trusted Jump frames in the jump market. With a new, revised design we have made the 666X even better! 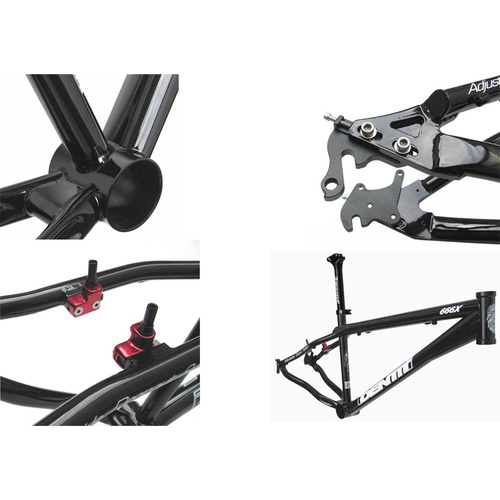 New straight rear stays and no brake pivots give the 666X a cleaner and sleeker look as well as making it more dirt-specific. T.A.F. 4130 Cr-Mo tubing is manipulated and precision tig welded into one of the toughest hard tails in the World. T.A.F. 4130 is Identiti's own brand tubing. Basically, T.A.F. Cr-Mo is selected for it's 'no-surprises' properties when it comes to abuse... it's Tough As... erm... very strong ! By using the original Identiti Adjustable Dropout System, this Cr-Mo Devil can be run with derailleur gears, hub gears or Single Speed, with QR skewers or nutted axles, 24" or 26" wheels... in any combination with Disc brakes. Replaceable, light weight, CNC alloy ADS dropouts are supplied as standard, further, Identiti have recently released S24 ADS dropouts, which are 24" specific super short dropouts... giving the 666X 15" chainstays... thus, making this Universal 26"/24" frame handle every bit as well as a short tail 24" specific frame - if that's what you want, but without the limitation of being 24" only. 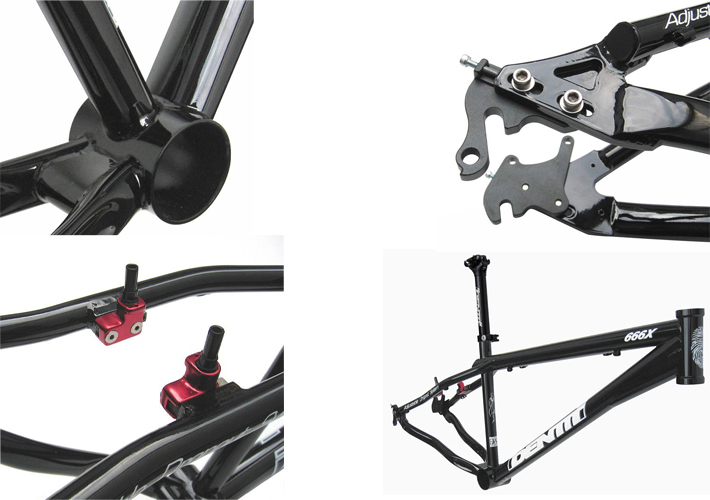 A BMX type BB shell gives a larger/stronger weld area and the option of running O/S BMX cranks, axles and bearings for jumping (or you can Convert back to European threaded type with extra adaptor cups).